PowerPoint is mainly used for designing presentation which includes attractive images, graphical images and colored texts which makes it appealing. But wait, I suppose you know all this stuff. I am here to tell you what you should do if your PowerPoint File is not opening and showing an error. As many of you don’t prefer spending bucks on just to repair a PowerPoint file so try the manual solutions. So don’t worry I am going to tell you the various solution to fix PowerPoint File error. There are some manual ways through which you can easily open the corrupt PowerPoint file. Just see which one suits you the most. Open the folder in which the file is located. Right Click on PPT file and Click on Copy. Create a New folder in another drive. Paste the File in that folder in another Drive. Now Open the file in the New location. Sometimes the location of the file gets corrupted and therefore the PPT file doesn’t open. If the user moves the file to the safe location then he can open it easily. In such a situation your PowerPoint file is not corrupted but the location is corrupted. Open a New PowerPoint Presentation and Select Blank Presentation. Under Home Tab Click on Arrow in New Slide. 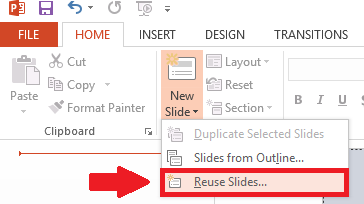 In the Dropdown Menu Click on Reuse Slides. Click on Browse to choose the file. Select the inaccessible PowerPoint File and Click on Open. First Preview one slide then Click on Reuse All option. Now you can view the corrupt slides on the new PPT File. Open Design Tab and Click on More. Browse the exact theme which was there in the corrupt File by Clicking on Browse for Themes. Select the File and Click on OK.
Once the slides and themes imported successfully to the new PPT file then you can easily view the data of corrupt PowerPoint File. But you have to save the new file with a different name and at a different location. Type powerpoint/safe in the Start Search Box. Launch a new Blank Presentation. Go to File Tab and Click on Open. Select the PowerPoint file which is not opening. Now Click on Open Button. Now see whether the file is opening or not. If the PowerPoint file is not Opening in the safe mode then there is some problem with your PowerPoint Application. Click on Start and type .tmp in the Search Box. Locate the TMP file of the Corrupt PPT. Go to File Tab and open the TMP file from the location where you have found it. Now you will be able to view the slides of the corrupt PowerPoint File. Sometimes the whole MS PowerPoint application gets corrupted. So it is advised to use an external viewer in order to open the file. You just have to install the PPT viewer from the web and browse the corrupt file into it. After that you will be able to view all the slides of PowerPoint. There were many methods to fix the PowerPoint file is not opening error but if still you are unable to fix it then there are chances that your PPT file is severely corrupted. So the only way out is to try a third party repair tool. You can go for PPT repair tool by SysInfoTools which can easily repair the PPT file and enables you to open it. If your PowerPoint file is severely damaged then none of the manual technique will work. You have to go for a Professional Repair Tool. But if you want to save time and energy then this tool is the best option for you. 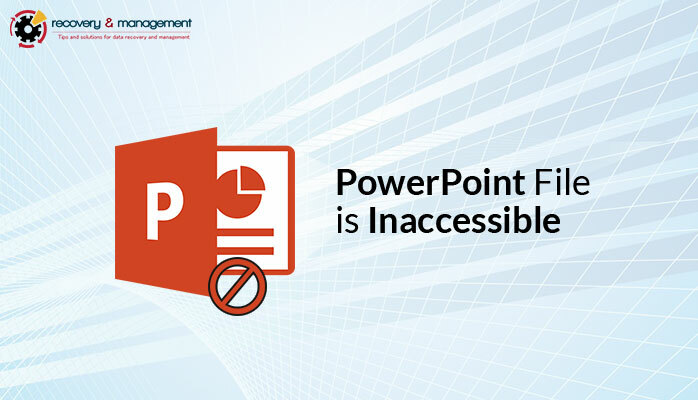 In no time it will repair all your PowerPoint files and make them accessible. It recovers slides, images, text and every other content from the PPT files. If the user don’t have technical skills then too he can use the tool because of its interactive user-interface. You may also read- Unlock Word Document. Well, I have tried a lot and told you many solutions to fix PowerPoint File is not Opening error. But if the corruption is severe then you have to spend some bucks to get your crucial data back and to access the file. But I wish there might be a minor corruption with your file and you can fix it by manual tricks only. I hope the article is informational for you.